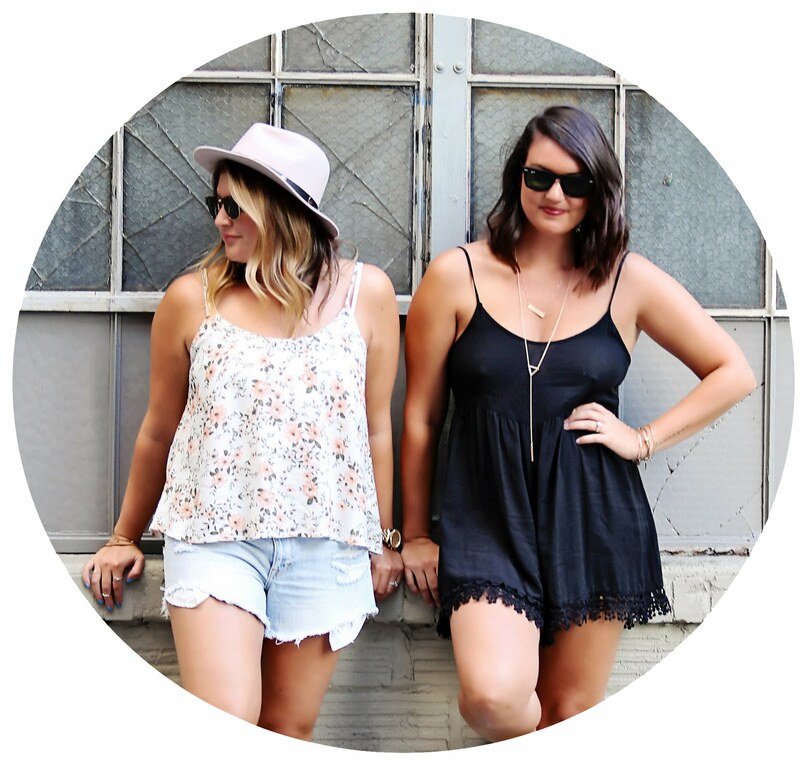 tater and tot: wedding mini series part 2: the venue. wedding mini series part 2: the venue. 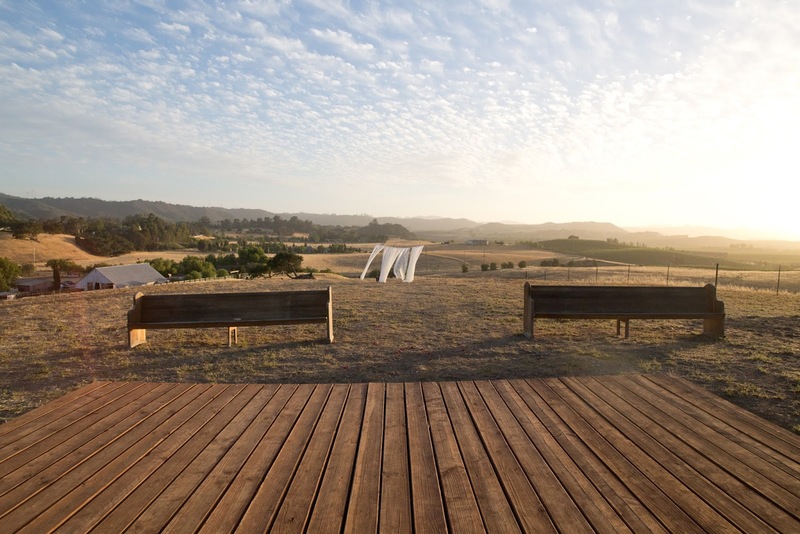 picking the venue is the single most difficult part of planning your wedding. there is so much detail that goes into finding the perfect venue. first and foremost, you have to lay out what's important to you. once you have determined what kind of venue you want, then you can start to weed out the places that won't work for you. in my case, wes and i knew we wanted to get married on the water. having grown up in washington almost my entire life, i am lucky to have always lived near the water. some of my favorite memories include days out on the boat with wes and our family and friends. we also knew we wanted to get married in seattle. we had lived here together for 5 years before we got married and the city was a very special place to us. 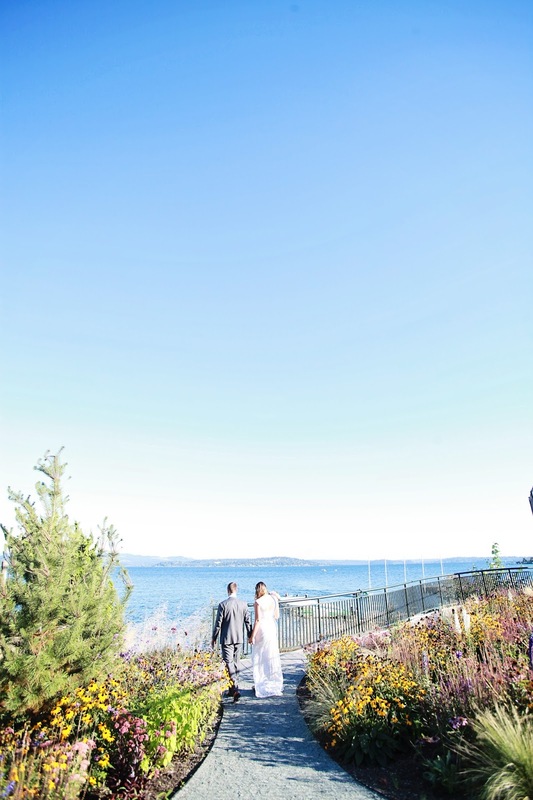 when i first started the planning process, i didn't think i would be able to find a venue that was on the water, in the city, and within our budget. not only that, but i wanted to find a venue that took care of everything as i wouldn't have time to do any of it myself. i only viewed one other venue before i found ours, and once i stepped foot onto the seattle tennis club's property, the decision was easy. 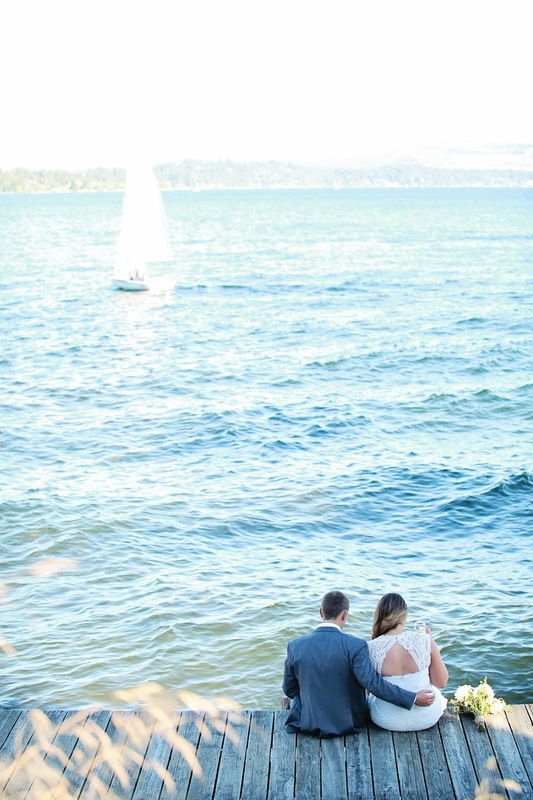 it was tucked away from the city, right on lake washington and in a simple word, breathtaking. the ceremony could take place inside or out and the reception was in a grand ballroom with windows that lined the entire room and looked out onto the water. and best of all, they took care of the entire ceremony and reception, including the food, drinks, linens, day of coordinator, etc. this meant we only needed to find a dj and photographer, which helped take my stress level way down. finding the venue was almost as seamless as finding my perfect wedding dress. it was meant to be. the staff and my coordinator amy, were absolutely incredible and made everything so easy and simple. i didn't have to worry about a thing, which is so amazing, and on the wedding day i could relax with my girls in the bridal suite, sip on champs and enjoy myself. this is exactly what i wanted for my wedding day and to end the day staring out into sunset over mt. rainer was a dream come true and something i will never forget. *for more information on the seattle tennis club, visit their website and contact Amy Rathbone at the phone number/email provided on the link. finding the venue was the first thing i knew i needed to do. before i went forward on anything else i needed to solidify that aspect. like i have mentioned before me and nate have been to a ton of weddings together and have seen every style there is. so we knew we wanted a venue that we had never been to before and surprisingly it was nate's idea to have our wedding in a barn and i immediately fell in love with the thought. we wanted it to be off the beaten path. something that you have to drive down a curvy two lane road to get to. something hidden. so the research began. 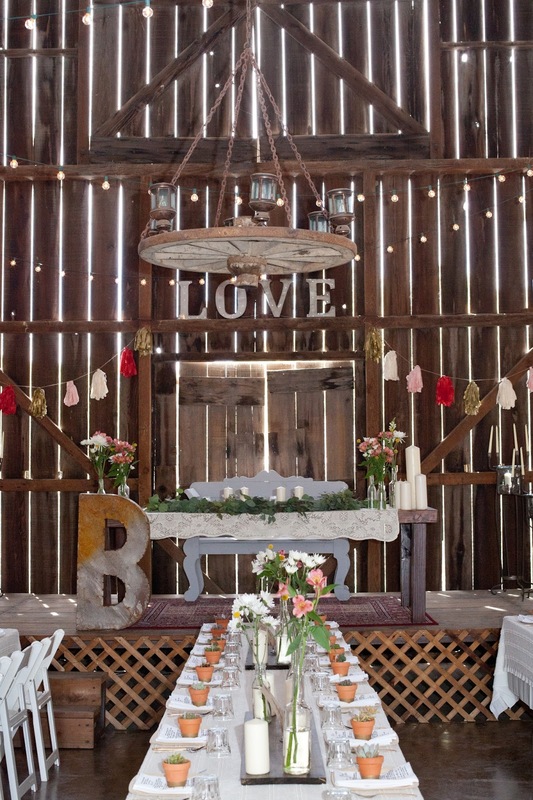 let me tell you how impossible it was to find a barn venue in orange county. i literally google searched every venue possible in orange county and la but couldn't find anything that wasn't outrageously expensive or held the capacity that we needed. for thanksgiving we were heading up to san luis obispo to be with some of my family for the holiday and decided to check out a few places. we were already going to be there and thought why not check it out. it's about a 4 hour drive from orange county so i knew that it would make the planning a little more difficult but i wanted to keep an open mind. 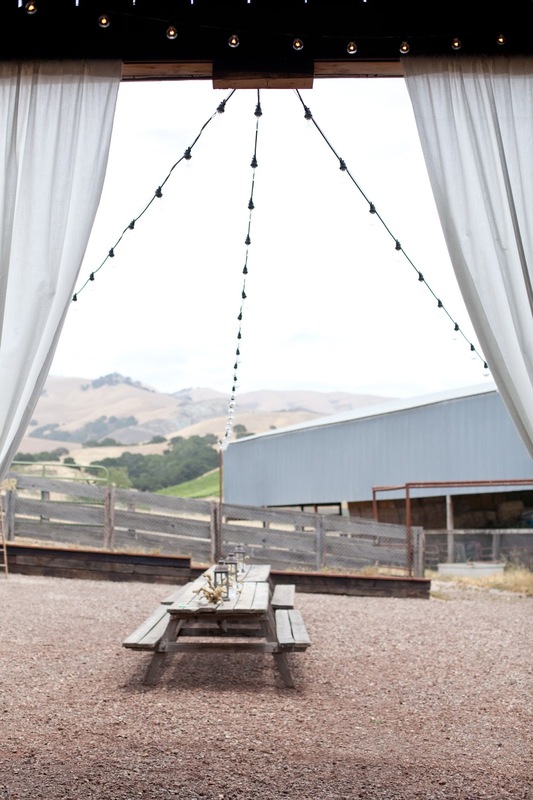 we looked at two venues while we were there and immediately fell in love with one of them. 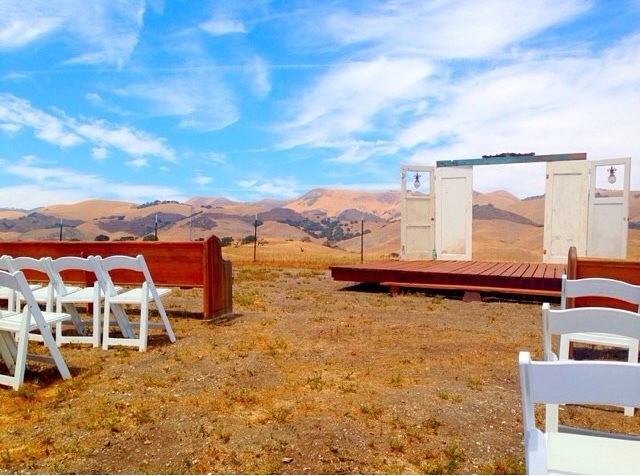 i randomly found this venue by searching blogs but it wasn't a super well known venue and at the time they had only had about 20 weddings before mine. which actually made it a little more special for me. but before we even got to the venue we fell in love with the drive. it was literally exactly what we wanted. a two lane curvy highway deep in rolling hills. i crossed my fingers that the venue was as good as the drive. and it was. 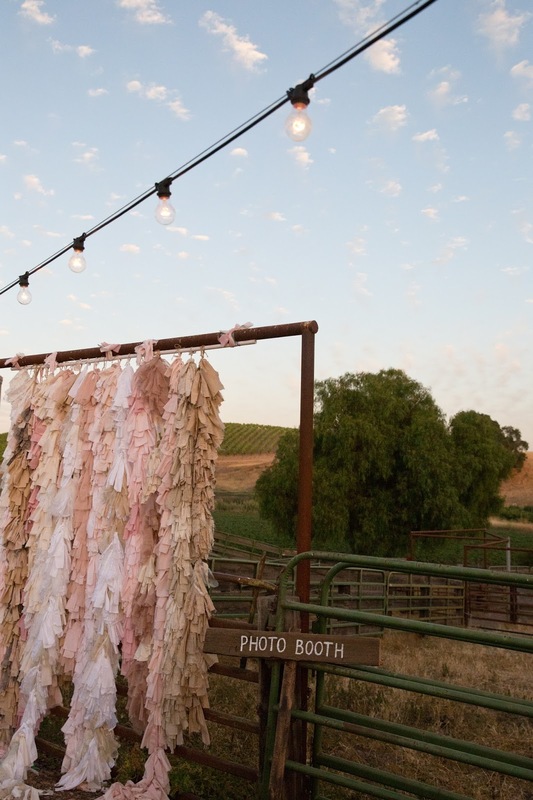 the venue is a working cattle ranch and owned by a father and son team. pretty much from the moment we met them we were sold. they were the nicest people and were willing to give me free reign of their property. it was literally a blank canvas and my ideas were running wild. it was exactly what i wanted. i was able to create the day i had always imagined. 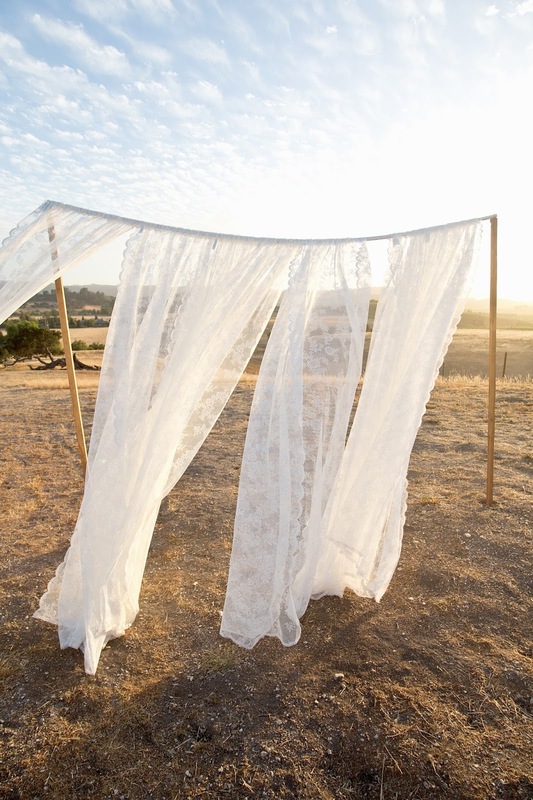 the ceremony was held at the top of a hill with nothing but the blue skies, sun shinning and open land all around. once the ceremony was done the reception was held inside their 1800's barn with huge doors and open wood slats which let the light shine in. i could not even picture a better venue for us and what we wanted. it was insanely beautiful and perfect. you may also like THE DRESS, THE BRIDESMAIDS, and THE ACCESSORIES. hello spring, is that you?